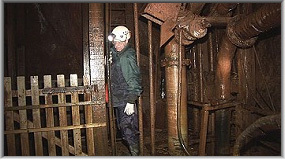 Exploration of Southwestern mines above & below ground. 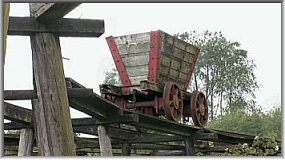 In June 2007, the National Association of Mining History Organisations (NAMHO) held their annual conference at Morwellham Quay by the river Tamar. 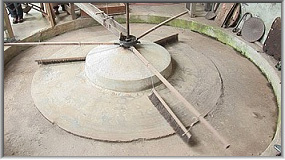 The organisers arranged special visits to many mines in Devon and Cornwall and this Compilation features some of them. A group from the Shropshire Caving and Mining Club (SCMC) spent the following week exploring more Cornish mines and many visits are featured here. 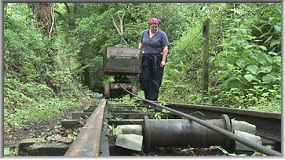 The DVD starts with a look round Morwellham Quay including a brief look at George & Charlotte copper mine. Then we visit Excelsior tunnel, have a guided surface tour of the superbly preserved Kelly mine including the dressing mill, and explore various levels of Great Rock shiny ore mine underground. 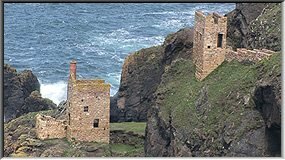 In Cornwall we visit the excellent Blue Hills Tin Streams, take a stroll round the St. Agnes area, attend a specially arranged visit to Wheal Peevor before it was opened to the public, re-visit the always interesting Taylor's shaft and Michell's shaft National Trust preserved Cornish engines in Pool and examine mines of the Basset sett after conservation for the UNESCO world heritage site (West Basset and Wheal Basset stamps and Marriott's shaft). 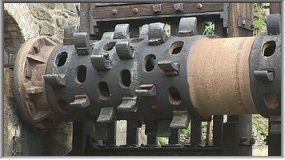 An invitation from Mark Kaczmarek gave a welcome opportunity to re-visit the Camborne School of Mines (CSM) test mine. A walk round the buildings at Botallack on a fine sunny day is followed by a visit to Geevor tin mine, where we were very privileged to be allowed to climb down 79 metres of ladders in Victory shaft to Deep Adit level and explore it inland to a dammed connection with the flooded neighbour Levant mine, then out along the long winding level to the exit in the Trewellard cliffs. 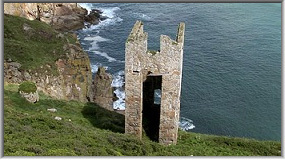 Finally we see that the engine houses of Wheal Trewavas near Rinsey cove are just as impressive as Botallack, after which we move to Bodmin and mines around Caradon Hill: South Phoenix, Phoenix United and Wheal Jenkin near Minions, then end at the extensive remains of South Caradon copper mine. In many ways, this Compilation complements our popular 3-DVD Production "'Mongst Mines and Mine Explorers". Nearly 300 captions are used to identify sites and scenes throughout the DVD. DDD: Digitally recorded, edited & mastered. All the footage is shot in High Definition. Standard definition DVD copies like this clearly benefit from the very high master quality.